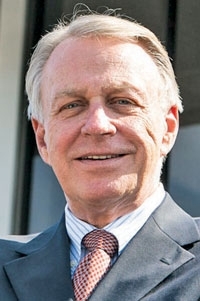 Shortly after David Westcott became chairman of the National Automobile Dealers Association a year ago, the Consumer Financial Protection Bureau made clear it saw problems with the dealer reserve, the interest rate markup on vehicle loans that dealerships arrange for customers. Westcott and new NADA President Peter Welch had another battle to fight. "That became priority No. 1," said Westcott, who owns David Westcott Buick-GMC in Burlington, N.C.
Westcott, 67, spoke with Staff Reporter Amy Wilson. Q. Where are you now with the CFPB? A. We continue to talk to them. We continue to talk to Congress and explain that the CFPB has given no transparency whatsoever or data on their accusations of disparate impact or discrimination. Members of Congress [are] somewhat amazed there's been no transparency and no indication by the CFPB of what their data is and how they're determining discrimination of protected classes. In the November hearings in Washington, CFPB officials seemed to be trying to be more transparent. Did you think so? Has that materialized? No, they have not. Because of the pressure Congress put on them, they finally had a hearing. But there's been no transparency relative to the data. We certainly are against discrimination. That's just bad business. Nobody goes out to discriminate against protected classes. But they're not looking at all the ramifications that could occur when somebody comes in for a loan. They don't look at the FICA scores, they don't look at how much money down, they don't look at the negative equity that could be in the car, the type of car they're trying to buy. They said that they're not using any of those variables in their determination there's discrimination. They're just saying protected classes pay more in interest rate than nonprotected classes. What chance does NADA have to get the CFPB to be more open about that? Wish I knew the answer. You're dealing with the only unregulated agency in the federal government. The CFPB reports to nobody. They're not regulated by Congress. They have an unlimited budget. We as dealers were exempted because we are not lenders, so obviously the CFPB is trying to do it a different way by going to lenders on this. We can keep trying to reason with and explain our industry to them and the positives of the dealer-assisted financing program that's been around for 100 years. It works. The one criteria that continues to be heard -- and I read about it again today in the paper -- is that a consumer group in California is trying to eliminate all dealer discretion on interest rates. And a lot of false claims have come out of a lot of the consumer groups relative to what the dealer reserve is. The average markup on a vehicle is less than 1 percent. The consumer groups continue to say they're 3, 4, 5, 7 percent, and that's simply not accurate. A consumer can't go walk into a bank and get the rates that we do. So is there markup? Certainly, because we perform a service. But they're not in any way, shape or form anywhere close to what the consumer advocate groups have suggested. And I think that's where a lot of the policies of CFPB have come from, which is pretty disturbing. What is the source of your statistic about the average being less than 1 percent? We presented that way back when we had the FTC roundtables. We reviewed data from J.D. Power and Associates representing more than 3.5 million transactions. Where does this issue stand as an ongoing priority of NADA and as a concern for dealers? Forrest McConnell, the next chairman, has been heavily involved on it this year. I certainly can't speak for him, but it will continue to be the No. 1 issue at this point.